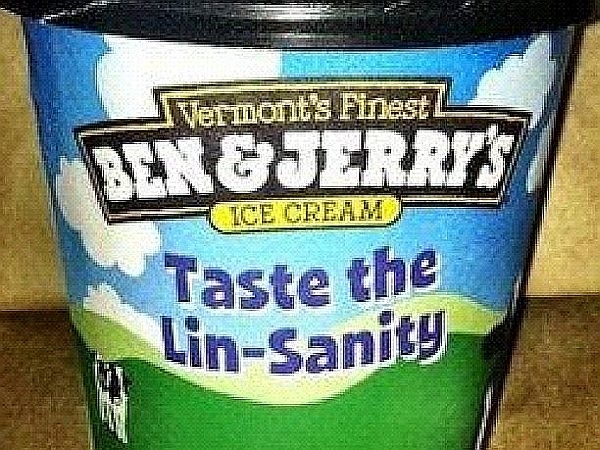 A Ben & Jerry’s franchise located in Harvard Square in Cambridge has apologized for selling a limited-release ice cream flavor intended to honor Harvard graduate and New York Knicks overnight-sensation Jeremy Lin. The flavor, which originally included pieces of fortune cookies, received negative feedback from people upset about Asian stereotypes. Lin was born in the US, but his parents emigrated from Taiwan. The Cambridge shop apologized over the weekend via Twitter, and it has discontinued the flavor. Ben & Jerry’s Homemade Ice Cream has chosen a veteran executive from the ranks of its parent company, Unilever, as its new CEO. The chief executive officer of Ben & Jerry’s ice cream is leaving his post at the end of next month.